Grab Life this summer and win! 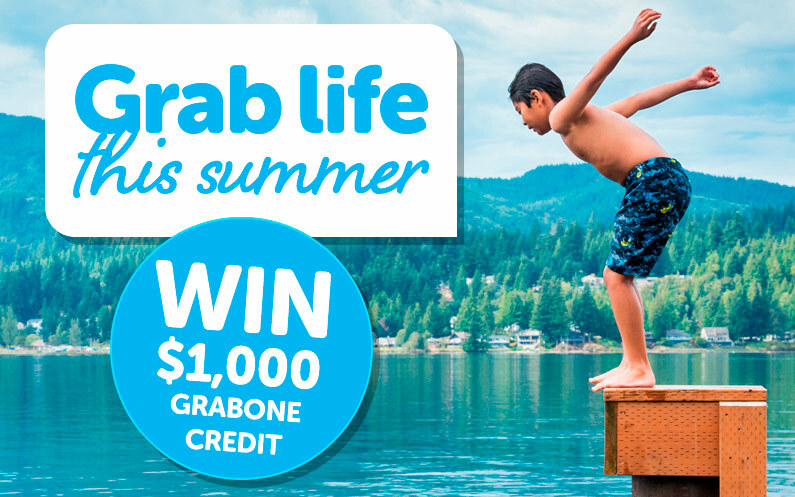 Show us how you’re grabbing life this summer and you could win $1,000 GrabOne credit! Simply take a snap or video of whatever you’re doing this summer – whether it’s a delicious meal, a wicked activity or your latest summer escape. You don’t have to be doing a deal, we just want to see you grabbing life! Then post your entry on our Facebook page or tag @grabone_nz on Instagram between December 27th and January 21st and you’ll be in with a chance to win. Last year we asked people to show us how they were living a little and the winning post went viral and global! (So as well as a chance of winning $1,000 credit you have the chance of becoming internet famous!) See the video here. Need inspiration? There are loads of things to eat, see or do on GrabOne – so get shopping!